Starmobile has reduced the price of Diamond D2 phablet in Philippines, and now the handset is available in only Php 5,990 (Roughly Rs 8300 or US$ 137). The new Starmobile Diamond D2 is a Dual SIM smartphone, features Dual 3G Standby and supports Quadband. Under the hood 3200 mAh Li-ion Battery is available to run the Android 4.2 Jelly Bean OS. Diamond D2 sports a 6.8-inch LCD IPS Multitouch Capacitive Touchscreen with 960 x 540 pixels of resolution. It is powered by 1.2GHz Dual Core MediaTek MT6572 processor which is combined with ARM Mali-400 GPU and 1GB of RAM. Handset housing 5MP Auto Focus rear camera with flash and a VGA front-facing camera for video calling. 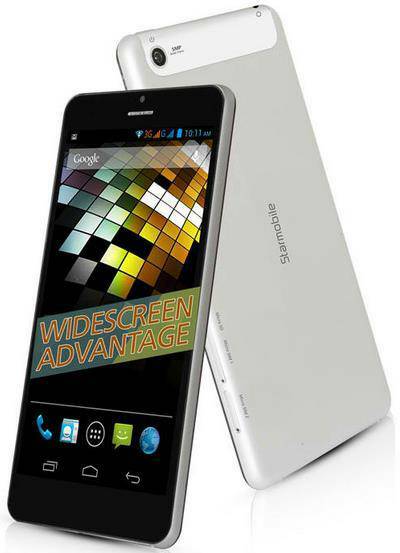 Starmobile Diamond D2 comes with 4GB of internal storage, which is further expandable via memory card (up to 32GB). Phablet body is built with Aluminum. Wi-Fi, GPS, 3.5mm audio jack and Bluetooth 3.0 are main connectivity options available. It has Ambient Light and Proximity sensors also. It measures 192 x 98 x 7.9 mm with a weight of 280 gms.